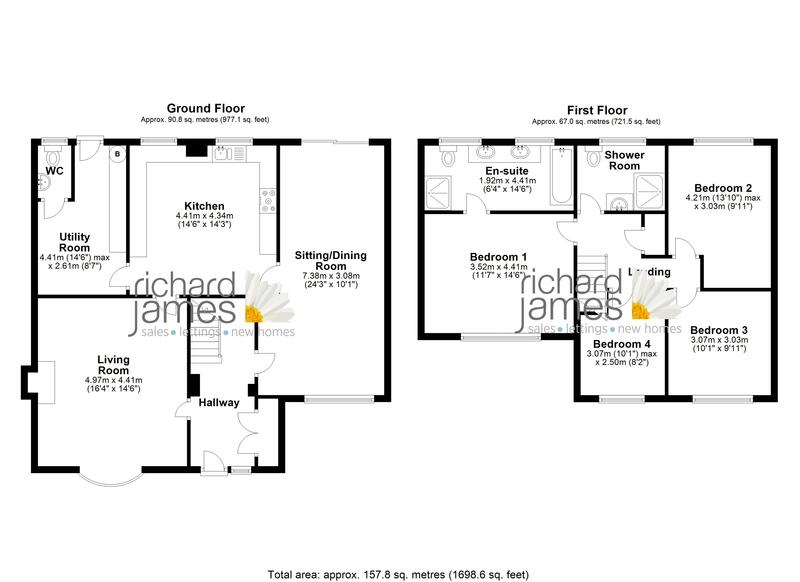 Richard James are delighted to offer this WELL PRESENTED & HEAVILY EXTENDED four bedroom semi-detached family home situated in Liden. This ideal family home has been beautifully maintained by the current owners and is ready to move into without any work required. The property also flows beautifully throughout and offers great space on both floors. Outside boasts ample driveway parking and also benefits from a DOUBLE GARAGE. Comprising of Entrance Hall, SPACIOUS Living room, separate dining room and additional sitting room, EXTENDED fitted Kitchen, Utility room and Cloakroom. The property is tucked away in a CUL-DE-SAC and offers great privacy on a LARGE plot. The garden has been well looked after and offers a great degree of privacy. To the first floor are four generous bedrooms, master with a GREAT SIZED ensuite. There is also a shower room. Must be viewed to appreciate the potential. Other benefits include gas central heating & double glazing throughout the property.